We’d like to say her stately posture, serious expression and beautiful brown eyes led to her new name – Princess Leona; but, in all honesty, finding her at the Leon Creek Power Plant, or Lee West, did it. 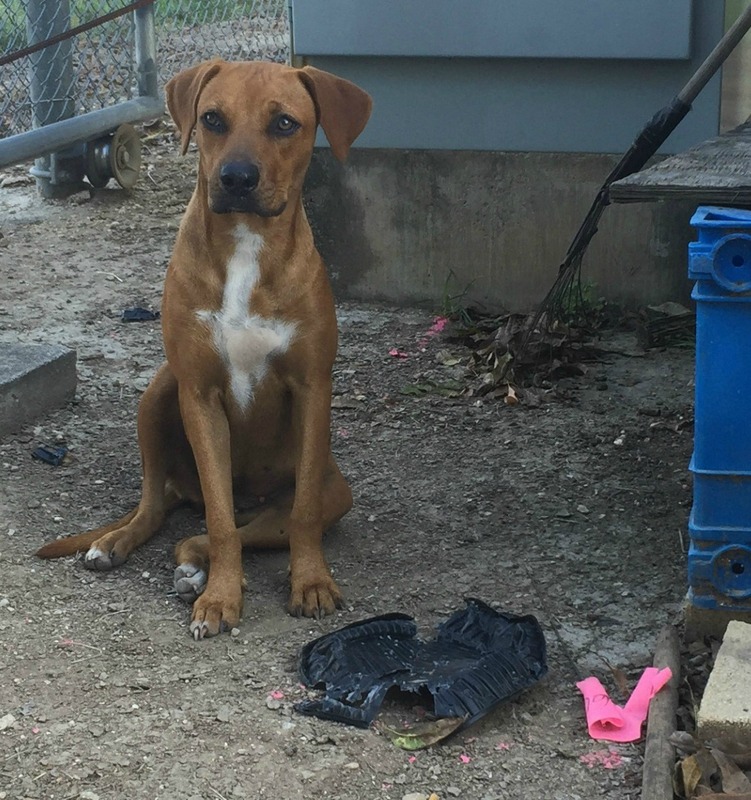 A Rhodesian Ridgeback mix, Princess Leona is no longer trying to make herself at home next to the plant’s guard shack. This Valentine’s Day, she will be lapping up the love of her new adopted family thanks to WARM, a group of employees who make it their mission to help furry friends find forever homes. Princess Leona was found at a CPS Energy plant near Quintana Road – a regular dumping place for unwanted pets. WARM stands for Worthwhile Animal Rescue Mission and is a networking group of about 50 employees. Although WARM is not a rescue group, members are commonly called on to provide assistance when stray dogs and cats try to make themselves at home at CPS Energy facilities. Since 2011, WARM has helped employees rescue about 200 stray cats and dogs. Angela said the first step to helping a stray is to find out if it already has an owner. A quick trip to a veterinarian will reveal if the dog has been microchipped with the owner’s information. If there’s no microchip or other identifying information, the dog or cat is eligible for foster care or adoption. The group connects employees to no-kill shelters or non-profit organizations like the Animal Defense League or San Antonio Humane Society. WARM holds fundraisers to make donations to these groups for medical care like heart worm treatment, vaccinations, and spay/neutering. Princess Leona went to the Texas Independent Rhodesian Ridgeback Rescue (TIRRR) before being adopted. WARM made a donation to TIRRR for Leona’s care. 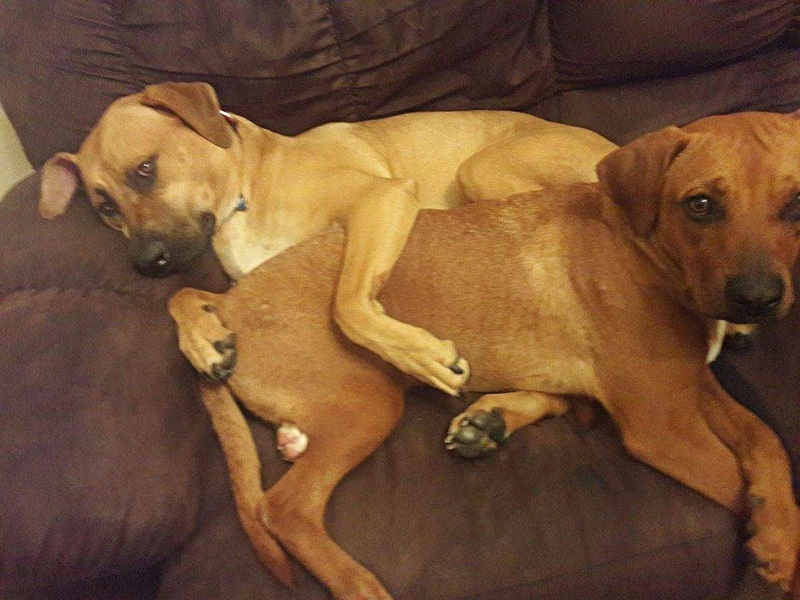 The Ridgeback mix was adopted in January and now has a new sibling and BFFF (best furry friend forever) Riley. Jerry believes WARM’s efforts has contributed to lowering the problem of pet overpopulation in our community.